If you remember, way back, we started a project down in Jekyll Island, Georgia. This project, the new Jekyll Island Convention Center, brings new life to the historical vacation spot. This legacy project has been an exciting journey, and I am excited to share the finished product with you. You can see all of our photos from the project here. Gibson Landscape is proud to have been a part of this historical project. 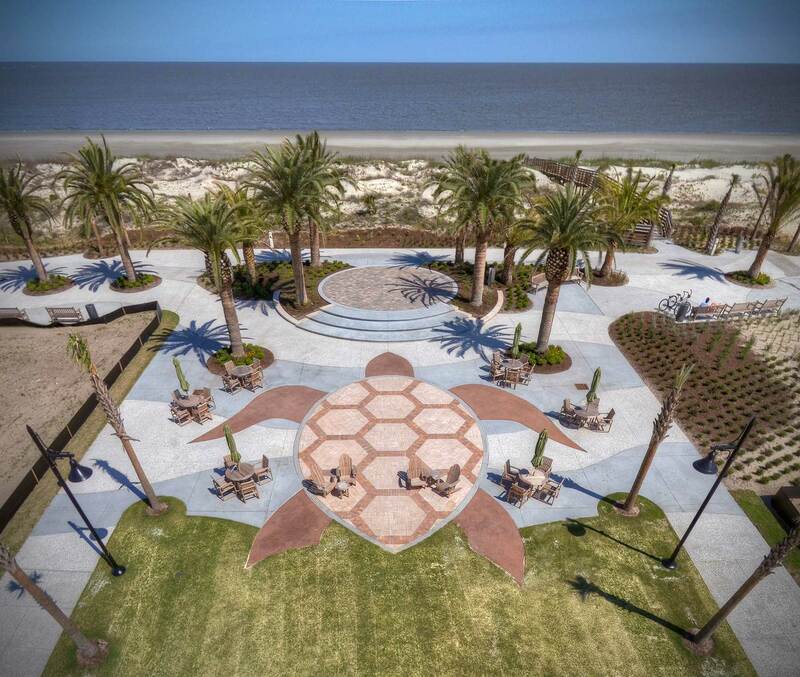 Our hardscape team delivered beautiful hardscapes; including oyster shell concrete, sea shell paving, intricate paver designs and even a custom turtle formed by pavers and colored concrete. Our landscape team executed the installation of thousands of plants within a constrained schedule, including 9 16′ clear trunk Canary Island Palms and nearly 600 Sabal Palmettos. The new Jekyll Island Convention Center, which earned silver-level LEED certification, is a beautiful destination. But don’t take my word for it… find out for yourself by visiting Jekyll Island this summer! Special thanks to MG Photography for the incredible photos.